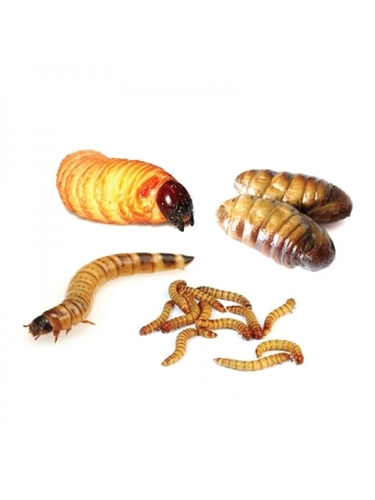 Meat Maniac Pupae Mix contains superworms, mealworms, sago worms & silkworms. 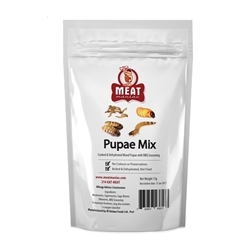 They are tasty and delicious, pack a nice crunch and are great for kids parties and Halloween. 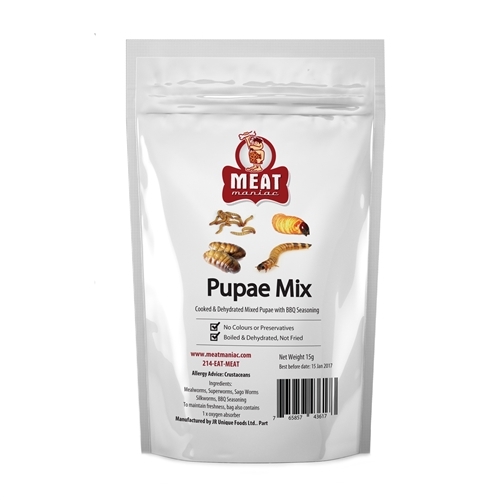 Our Pupae Mix is boiled & dehydrated, not fried, and seasoned with bbq (15g).